Ear pinning is a common cosmetic ear surgery for patients with oversized or protruding ears. Dr. Ben Talei at the Beverly Hills Center for Plastic & Laser Surgery, is an industry leading dual board certified facial plastic surgeon that offers state-of-the-art ear pinning surgery. Ear pinning surgery is a minimally invasive procedure where incisions are made behind the ears. Depending on the needs of the patient, Dr. Talei can reshape the cartilage, remove any excess skin or tissue and pin or position the ears closer to the patient’s head. Ear pinning can provide patients with a more balanced face and natural looking profile. This surgical procedure can be performed at any point once the ears have reached their full size. This typically happens between the ages of 5 and 6 years old. Dr. Talei suggests that ear pinning surgery is done sooner in life to avoid any unnecessary self-consciousness and teasing. 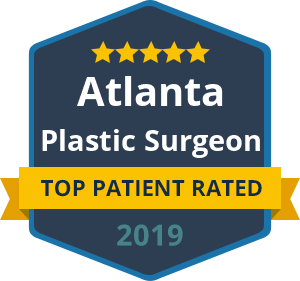 Dr. Talei is dual fellowship trained in facial cosmetic and reconstructive surgery and vascular birthmarks and congenital anomalies with laser surgery. As an industry leading facial plastic surgeon, he is highly sought after for surgical procedures because of his artistic eye and delicate hand in surgery. Ear pinning surgery is not a one-size-fits-all procedure. Dr. Talei will thoroughly examine the patient and specifically design the surgery to suit his/her needs while providing naturally repositioned ears. Dr. Talei likes to use digital photography as well as physical examination to determine the exact cause of the protrusion. Because there are no textbook procedures for ear pinning, the consultation is extremely important in the planning process of this procedure. Each of Dr. Talei’s procedures are tailored for each patient and their needs. If you would like more information about this type of surgery, contact our ear pinning surgery specialists at the Beverly Hills Center for Plastic & Laser Surgery to set up your consultation with Dr. Talei. During that time, you can discuss your goals for the surgery and ask any questions you might have.